EUROPE’S economy is fundamentally flawed with the European Central Bank (ECB) keeping alive “zombie” companies and banks, the head of a German economic think tank has warned. The Institute for Economic Research (IFO) in Munich has revealed that the economies across the European Union (EU) are still being hindered by the large amount of “zombie” economies - those companies and banks that are in difficulties but are being kept alive by toxic loans and debts. According to a recent study by the Bank of America, some nine per cent of the largest exchange-traded companies in Europe are currently such undead companies. This refers to highly indebted, unprofitable enterprises, that while are still generating cash and managing to cover both fixed and running costs they only have enough money to cover the interest on outstanding loans but not the actual debt itself and as such rely on the banks for their continued existence. Last summer, up to 11 per cent of the companies included in the Euro Stoxx-600 were temporarily included. Before the outbreak of the financial crisis in 2008, the share of zombie companies in Europe was only six per cent. The Black Monday of 1987 refers to October 19, 1987, when stock markets around the world crashed, shedding a huge value in a very short time. The crash began in Hong Kong and spread west to Europe. 2015–16 Stock Market Selloff: Began in the US on August 18, 2015, when the Dow Jones Industrial Average fell 33 points and gathered downward momentum over several days, which became a steep selloff on August 21, 2015, falling 531 points (3.12%) on that day. DRAGHI DILEMMA: Eurozone bank treads tightrope to avoid a market crisis. 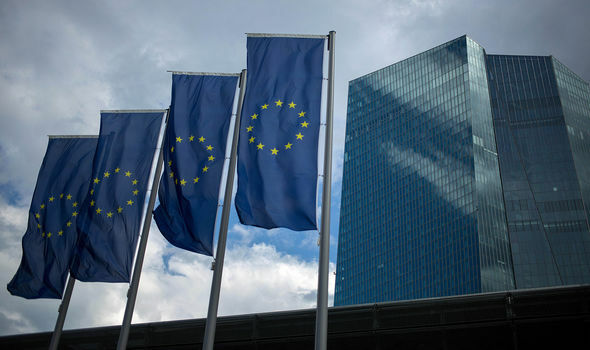 Doom and gloom for the ECB: Euro Bank chief issues woeful update. Mr Fuest added: "It is part of the structural change that companies whose business model no longer works close down and capital and labour are shifted to new companies.” The loose monetary policy of the ECB is an important, albeit not the only, reason for this distortion according to the economist. He said: “The zero interest rate policy is certainly helping companies, which would have to file for bankruptcy with higher interest rates, stay on the market. "However, it is fair to say that the causes of the zombification are manifold. This includes, of course, the poor general economic development in parts of southern Europe. Bankruptcy law and banking supervision are also responsible." A conflict would arise if the inflation rate continues to rise higher than it was today and the mandate of the ECB to maintain price-level easing would conflict with the efforts to avoid burdening heavily indebted states and banks. 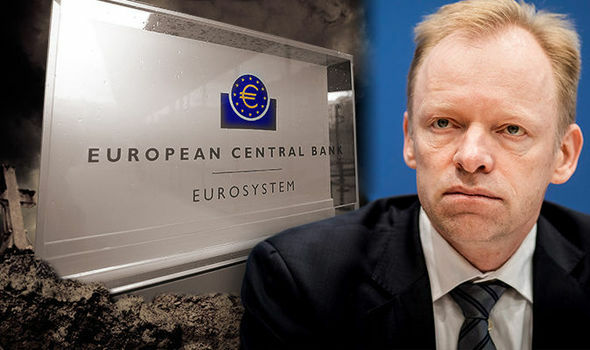 Deka's chief economist Ulrich Kater also warned of possible conflicts the European monetary watchdogs might face because of the zombifying of the economy as soon as the current economic climate changes. He said: "An increase in interest rates will, in particular, reveal weaknesses where a large proportion of loans are already considered unrecoverable, especially in Italy. "Some states in Europe, whose debt rates would rise uncontrollably as a result of exceeding certain interest thresholds might also find themselves becoming zombie companies in the broader sense."